Let’s get ready for 2019!! Come and enjoy our classes and workshops at Active Care Centre. Yoga is an inside-out practice – focused on how you feel versus how you look – Taking time aside from our externally-focused lives to look and feel inward. Learn the basics of these Latin dances. Get ready for warm fun nights dancing in the summer! Learn the basics of a variety of dance styles in a fun way that will make you sweat. Improve your balance, coordination and musicality! Please register your spot as soon as possible as space is limited. A 50% deposit is required. Please feel free to share with friends and family! Our continuous growth is all thanks to you. Must buy before December 28, 2018. Share the joy of rhythm with your friends, family or a partner! Learn traditional dip pen and ink calligraphy with a modern flare! Receive your very own personal kit of professional tools and workbooks giving you everything you need to dive into the creative experience that is Modern Calligraphy! Sharpen your Modern Calligraphy skills with this advanced workshop. You will receive the Modern Calligraphy 201 work sheets, an upgraded adjustable oblique pen holder, a Zebra G nib, and ink along with practice sheets to help you improve your skill and confidence in calligraphy. To join the Modern Calligraphy 201 you must have taken Modern Calligraphy 101 so register today for 101! Learn how to use lettering techniques, embellishments and prompts to help you express your personal creativity through journalling! You don’t have to be artistic to be creative! New class sessions coming soon! Join Sue Lynn Chong for a 4-week yoga and self massage session to get back to the basics. Focus on being mindful of the simplicity in how our joints and muscles move on an every day to day basis. Now that we have all settled back into our regular routines after summer, a little bit of relaxing would be nice! We will be starting our four week yoga program Wednesday November 15th. If you are interested and haven’t signed up yet, please call the clinic or send us an e-mail. Self-Massage – Learn the art of self-massage for different parts of the body each week. DATE / TME: SATURDAY JUNE 17, 2017 10:00 AM – 12:00 PM IS THIS WORKSHOP FOR YOU? Are your fingers stiff; maybe even occasionally locked? Are your shoulders tight and rounded from years of work over a desk, machinery, driving or cycling? Do you hold tension in your neck and shoulders? Would you like to improve the range of motion in your neck and shoulders? Minimum 4 needed for class, Maximum 8 to ensure personal attention. Regular class rate will apply. Please let us know by email, text or phone in advance if you will be able to join us! 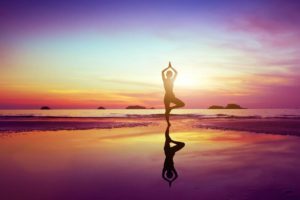 – Do you want to improve FLEXIBILITY? – Do you have TIGHT hamstrings? Tight calves? Sore feet? – Do you get occasional CRAMPS or SWELLING in your feet and legs? – Do you have symptoms of SCIATICA? – Do you stand on a job for long periods? – Would you like to improve the range of motion in your hips and legs? Pre-register and pay by January 31, 2017, and Save the HST! Foam rolling aka myofascial release is a great form of self-massage. Join Sue Lynn for an hour of fun and exploration with a foam roller that will be yours to take home. $35.00 + HST Pre-registration by email to MindfulMobility1@gmail.com. 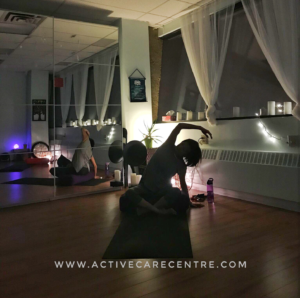 Active Care Centre – 1200 Markham Road, Suite 515. Top 7 Benefits of Foam Rolling Every Day… and the Mistakes to Avoid! Join Sheena and Sue Lynn for a 90-minute exploration of the Art of Self-massage on hands, feet and legs. Included in the workshop is your very own personal self-massage tool kit and handouts. A great workshop for those suffering from plantar fasciitis, arthritis in the hands and feet, carpal tunnel, arch issues, aches and pains from a desk job, and many more.